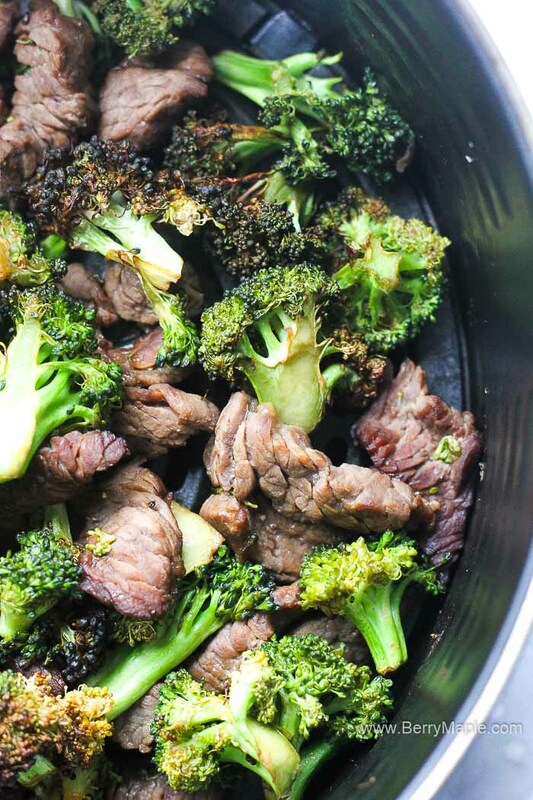 Healthy quick and crispy air fryer beef and broccoli. 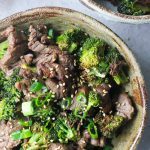 This recipe is easy and full of Asian flavor- a great healthier alternative to your usual take out dinner. I like to separate broccoli into small florets first. 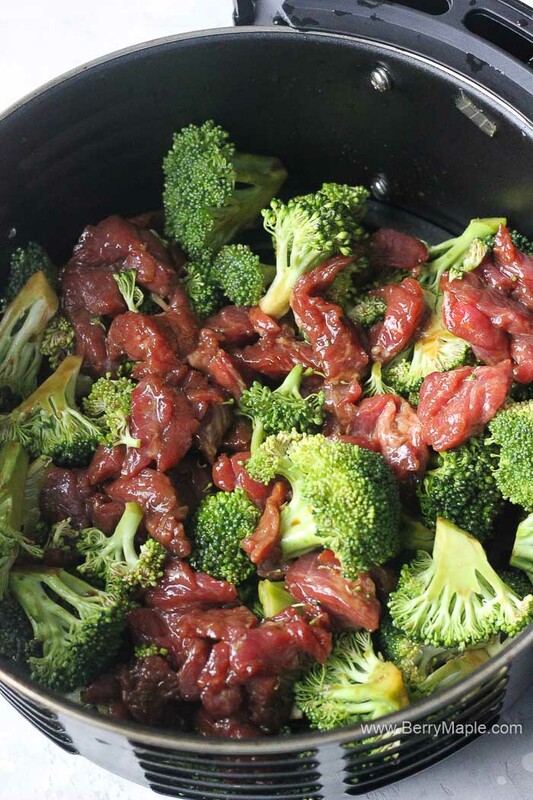 It help with the cooking time plus my kids love when broccoli is cooked in mini pieces. 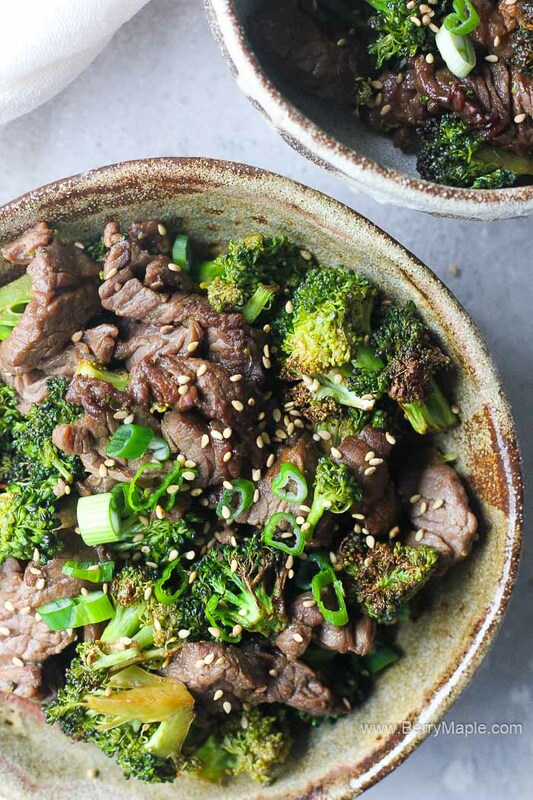 Broccoli needs to be fresh and not frozen, I didn’t cook with frozen yet so if you have an experience with it please let me know how did it turn out! I do have a recipe for frozen french fries in the air fryer though! For this specific recipe you can use a tough cut of meat. It will be soft when cooked because we are going to slice it really thin. 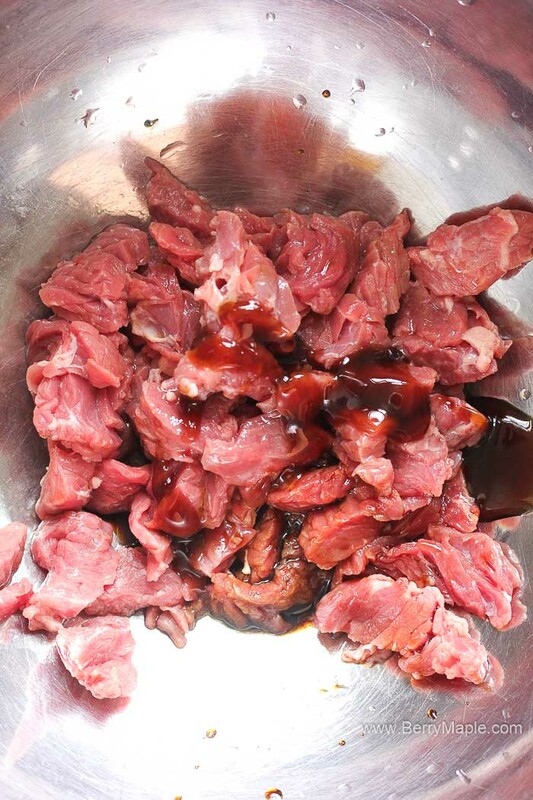 I made this dish with two different beef cuts- round top and stew meat. Make sure to cut all the mat pieces against the grain for the best texture . 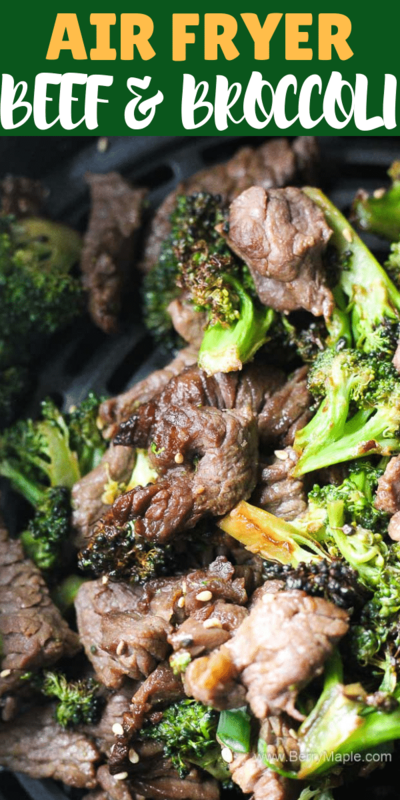 I recommend to cook this beef air fryer beef and broccoli in the special air fryer pan instead of the air fryer basket . That way you will get most of the flavor from the sauce. Otherwise it will all drip through the basket to the air fryer bottom . This broccoli will pair well with some corn on a cob or sweet potato fries! if you want to keep it simple, just make some white rice and enjoy your dinner! Add to the air fryer basket. If you want the dish to be more saucy, add ingredients in to a special air fryer pan instead. Cook for about 12-15 minutes at 350 degree. Shake a few times.